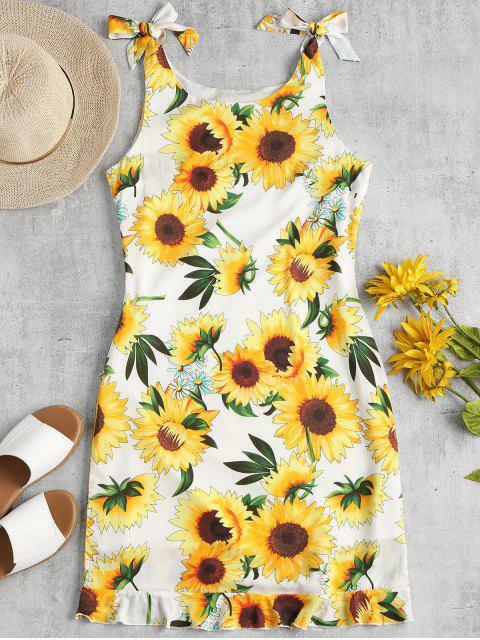 [35% OFF] 2019 Ruffle Hem Sunflower Dress In WHITE | ZAFUL .. Vivid sunflowers decorate this mini sleeveless dress, with gentle u collarline, knotted shoulder straps, and pretty ruffle hem detail. The invisible zipper closure at the side gives an easy fit.